The Tam Twirlers was founded in 1978. Our first caller was Glen Dickey; since his retirement, Eric Henerlau has called for us. Our students and members are of all ages (pre-teen to 80+) and include singles, couples, and families. We host 1 hoedown a year, and you'll see our club members at hoedowns and festivals around the Bay Area and the state. The Tam Twirlers is a 501(c)(3) non-profit organization. Donations to the club are tax-deductable. 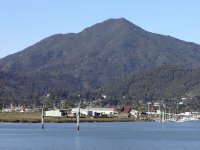 "Tam" is the nickname for Mt Tamalpais, the high point of Marin County. Our badge is shaped to resemble this local landmark.